A couple of months ago, there was an article on BBC website about how the legendary stories of Yetis in the Himalayas could have developed originally as a strategy for keeping children within the community, away from the reach of dangerous wild animals. It suggests that those legendary stories could have helped elders to instill fear in children so that they always stayed close to their home where they were safe. This hypothetical conclusion has been reached after no scientific evidence of the existence of the mysterious Himalayan creature could be established despite decades of vigorous research and expeditions launched by mountaineers to find one. The article further presents the recent scientific finding which suggests that the hair samples supposedly from Yeti collected from Bhutan and India matched with that of Brown Bears which were believed to have once lived in the Himalayas. It also highlights that brown bears can stand on two-legs at times and leave unusually large footprints which many people have claimed to have seen. So, is the mysterious Yeti the real brown bear as scientists are suggesting today? This makes me wonder if my late father had also seen a brown bear because he also used to claim that he had seen a yeti when he was young. His story goes like this, He was part of a group of men and they were on their way to another village for some important works. At sundown, they decided to settle down for the night at the bottom of a cliff in the middle of a jungle. They had carried all utensils and rations with them because they were prepared for such night-halts on the way during those days. All other members of the group soon dispersed into the forest: some to collect firewood and some to collect water. My late father had stayed back to make arrangements such as preparing a fireplace and finding a suitable space to sleep. Soon my father heard a long human howl from the distance. Thinking one of the members might have lost his way in the jungle and was calling out for help, my father responded with the same kind of howl. But the howl from the distance started getting louder and closer towards him with every howl he made. Soon, he heard a low murmuring roar like that of a tiger. He looked around but couldn’t see anything. Shortly afterwards, all of his friends came back rushing without even a single firewood or a single jar of water. They were all scared by the strange howls and the roaring sound that was getting louder with the passage of every second. Finally my father happened to look towards the top of the cliff and there, he saw a strange creature climbing down the cliff towards them. Unlike human beings, the creature was descending with its head down like an animal. Then all of them hurriedly packed up things and ran away as fast as they could to escape from what they believed to be a Yeti. This was the story my late father had shared with me when he was alive. I had heard other stories about this mythical creature when I and my late father were living at Tashila in Wangdue Phodrang. One of my father’s friends claimed that he also saw such a creature climbing down head-first from a tree one night when he had gone to the bush to relieve himself. He was also lucky to get back to safety on time. Then there were some people who claimed that they saw large footprints freshly left on snows and they all believed they were that of Yetis. 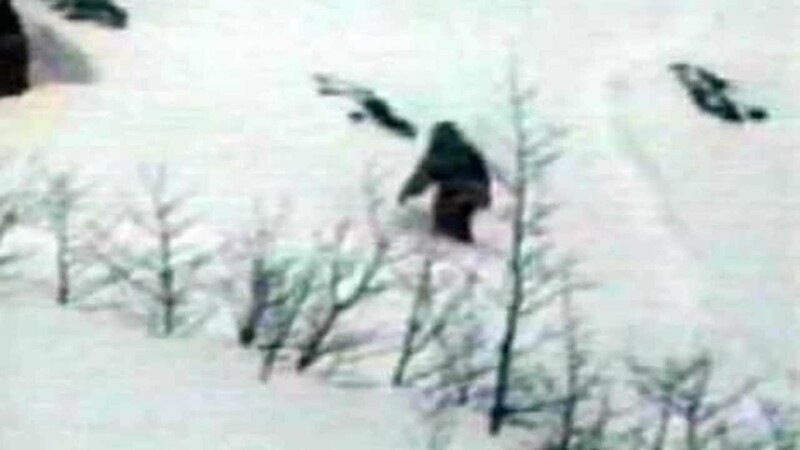 I am still not sure if Yetis had really existed and that those footprints were left by them. If there is no such a creature as Yeti, what all those mysterious sightings claimed by many locals could be? Could they be really brown bears as suggested by recent research findings? If they have been mistaken for brown bears, why are they not seen nowadays? If what my late father and his friend had seen was a brown bear, it was not so long ago and some of them should be still visible in our mountains and jungles today. I think this is one big mystery science has to really get to the bottom of. Heard a lot of stories on it, but a few years before I remember I read a story on the newspaper saying, yetis were related to some of the ancient creatures, those were expected to have extinct way before.